Growth of e-commerce sales at the $310 bln retailer slowed sharply over the holidays as the effect of digital acquisitions faded. Walmart signaled some turbulence ahead too. It’s a rare setback since the Bentonville, Arkansas outfit bought Jet.com in 2016. The main entrance to a Walmart store is pictured in Sao Paulo, Brazil February 14, 2018. 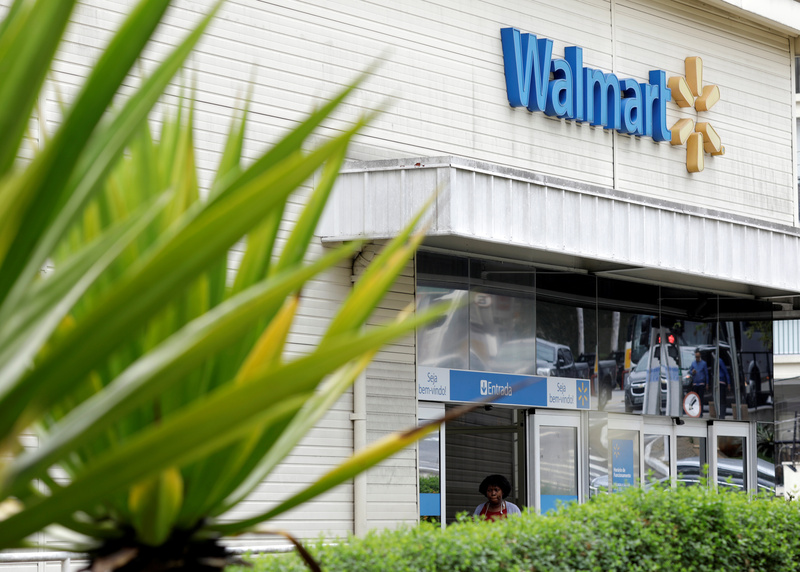 Walmart said on Feb. 20 e-commerce sales during the fourth quarter increased 23 percent year-over-year. In the previous quarter digital sales rose 50 percent. Revenue increased 4.1 percent year-over-year to $136.3 billion. U.S. comparable sales rose 2.6 percent. Adjusted earnings per share of $1.33 fell short of analysts’ forecast of $1.37, according to Thomson Reuters data.